Zurich is a great destination for foodies. There’s a huge selection of restaurants and over the last couple of years many new concepts have been introduced. There are new openings nearly every week, so many in fact that it’s hard to keep track of everything that’s going on. 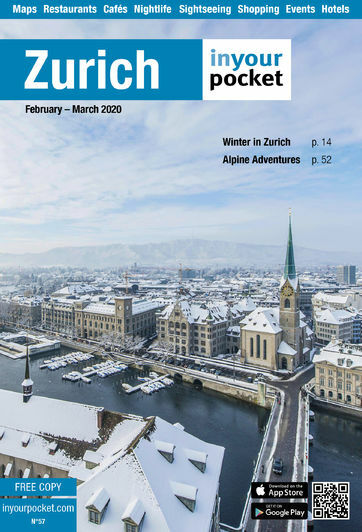 We also think that since we began publishing Zurich In Your Pocket in 2010 the quality of the venues has only improved. For the past three years there’s even been an annual food festival known as Food Zurich. This new yearly highlight for food connoisseurs brings culinary delights to the city for 11 days at the end of May. Over 100 events are planned from local markets, gourmet dinners and traditional dishes in unusual places to chefs’ battles and sommelier competitions. And for the first time, the main festival location can be found downtown at Europaallee, right next to the main train station, so there’s really no excuse to miss. The city also has many dedicated food entrepreneurs. One of them is baker Jens Jung who founded the organic bakery John Baker a couple of years back, which has since become a huge success. In our interview he talks about the secret behind John Baker and also reveals his favourite places to eat, drink and relax in town. If you’d like to delve deeper into Zurich’s culinary scene, our restaurant chapter is also a good place to start. Enjoy!